More on the Elite Screens VMAX VMAX2 Spectrum and Manual Series L-Brackets (Black or White) ZVMAXLB below. This ZVMAX L-brackets are designed to ceiling or wall mount Elite's "Manual", "Spectrum", "VMAX" and "VMAX2" series projector screens. 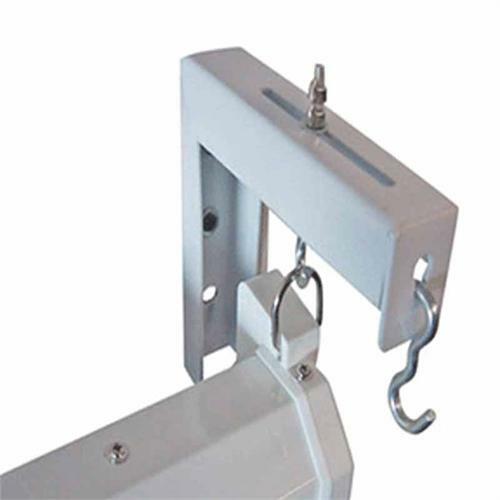 Each order includes two 6, 12 or 18" L-brackets and all necessary mounting hardware. Two sizes to choose from: 6", or 12"
Please Note: 6" brackets are also available in a black durable hard plastic. All other sizes are available in metal only.